Don't miss an amazing tour experience in the origin of sepharadic culture in company with shomer-mitzvot experienced guide! DON'T HESITATE TO CONTACT US TO SCHEDULE AN UNFORGETTABLE WALKING TOUR IN TOLEDO! 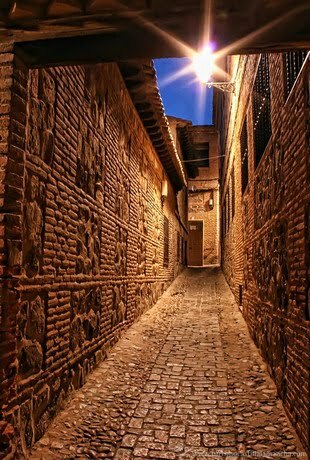 Toledo is a magic place where you contemplate an intact medieval city which leap to the present from the past! Probably one of the most spectacular cities in the world. The buildings and the narrow streets within the old city walls still contain the impressions of its persistent history, and the River Tajo which runs alongside the city walls adds to its charm and beauty. Having been populated since the Bronze Age, Toledo was famed for religious tolerance and had large community of Jews until they all were expelled from Spain in 1492 . Today's city contains the religious monuments the Synagogue of Santa María la Blanca, the Synagogue of El Transito, dating from before the expulsion, and still maintained in good condition. Toledo is located in central Spain, 70 km south of Madrid. It is the capital of the province of Toledo. It is also the capital of autonomous community of Castile-La Mancha. It was declared a World Heritage Site by UNESCO in 1986 for its extensive cultural and monumental heritage.